Mark Zuckerberg, chief executive officer and founder of Facebook Inc., waits to begin a joint hearing of the Senate Judiciary and Commerce Committees in Washington, D.C., U.S., on Tuesday, April 10, 2018. Facebook CEO Mark Zuckerberg says his company is "working with" special counsel Robert Mueller in his probe into Russian interference. Earlier this year Mueller charged 13 Russian individuals and three Russian companies in a plot to interfere in the 2016 presidential election through a social media propaganda effort that included online ad purchases using U.S. aliases and politicking on U.S. soil. Some of the Russian ads were on Facebook. 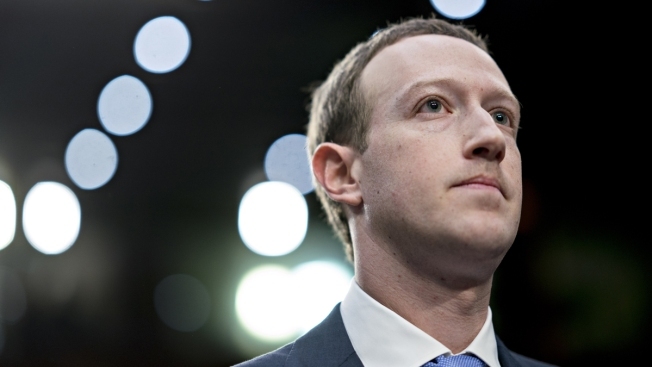 Zuckerberg says he has not been personally interviewed and said he is not aware if the company has been subpoenaed.